His name is Oliver Queen. 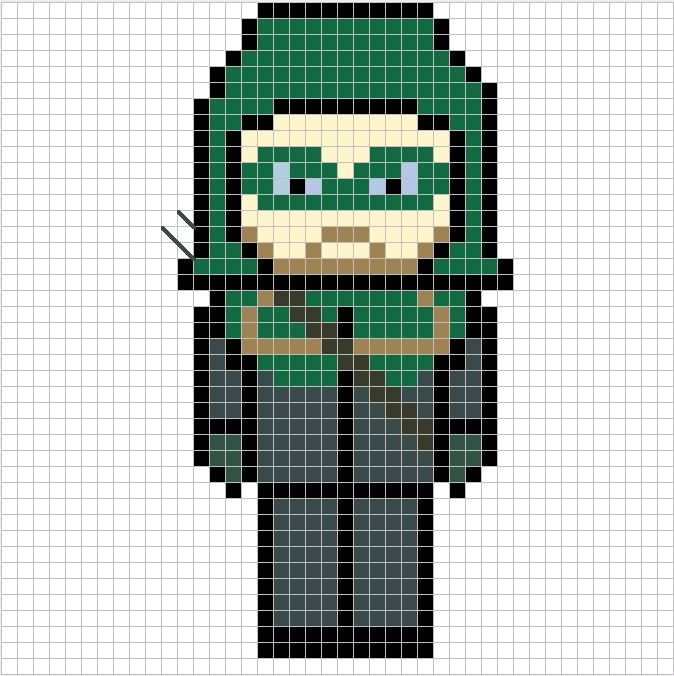 So, after I made the Felicity Smoak sprite cross-stitch, someone asked me if I was going to make any other Arrow sprites. I confess, I hadn’t intended on doing it, but here we are and yet another member of Team Arrow has arrived. Oliver Queen wearing leather while shooting arrows. I used the technique of blending colors in this cross-stitch which, if you have never done it before, is super easy. I briefly talk about it in the video, but seriously — SUPER EASY. To make the pants look like how they do in the picture, all you’re going to do is combine two strands of 3799 and one of 934. 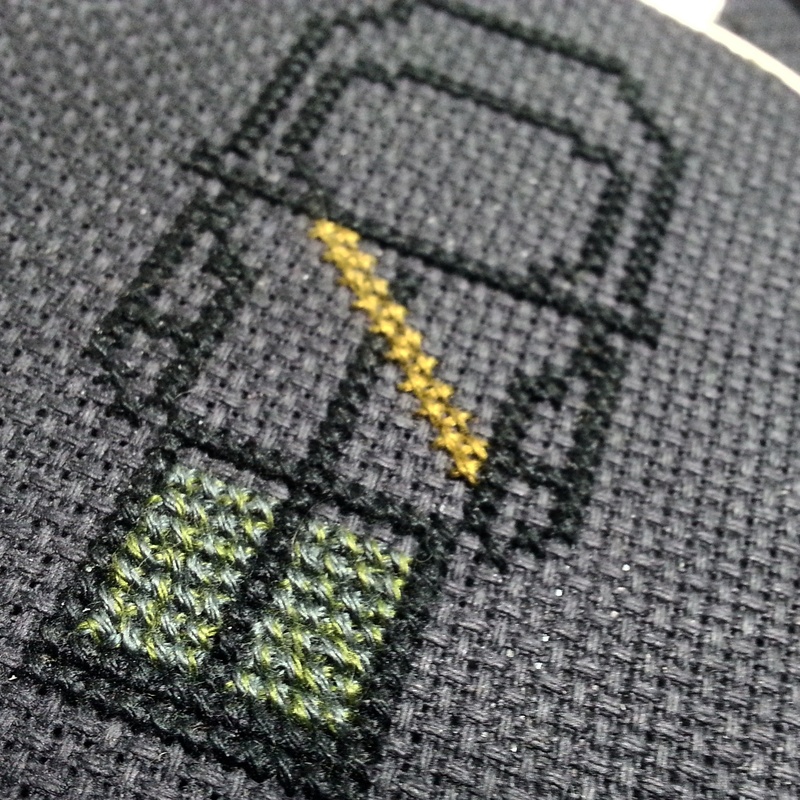 Then, just cross-stitch like normal and watch the blending magic happen! For all of you on Team Diggle (Go Digg!) fret not. His chart should be finished…soonish. I’m already working next week’s chart (which I am super excited about!) so the Diggle chart will possibly be out the following week. 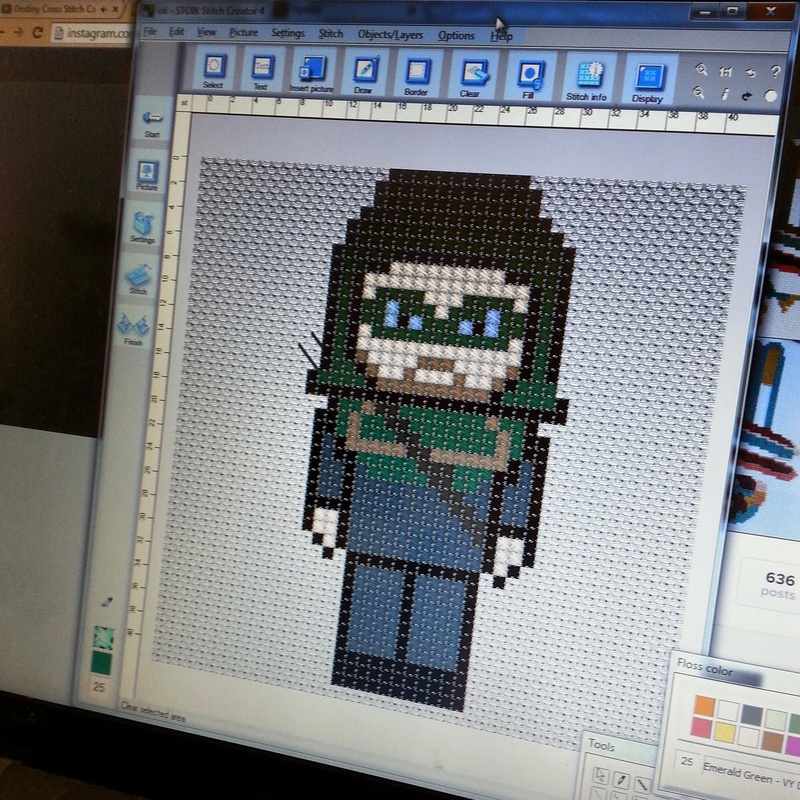 Then, all three original members of Team Arrow will be ready to make your room more awesomely geeky. Hi! My boyfriend and I found Arrow last November and are just now catching up to season 3. Love. I’ve looked all over this post and the video for all the colors you used, and can’t find it. Am I missing them? Thank you for this wonderful pattern, as well as the Olicity one. I can’t wait to make both. Thank you so much! Perfect timing, I’m at the stitch store in town right now!